Yes, the ratings for Sunday's Super Bowl were the worst in years — but in terms of ratings per point scored, it actually fared exceptionally well. For all the talk of a "techlash," Google, Facebook and other tech giants are still raking in the profits. Google was the latest to report, with parent company Alphabet issuing results on Monday that showed solid profits and revenue with its ad business continuing to grow 20% year-over-year. Facebook had a blockbuster Q4, reporting last week that its ad revenue was up 30% year-over-year. Amazon kept on chugging as well. The Seattle-based company posted record profits last quarter and said that its revenue for its "other" category, which consists mostly of advertising, was $10.1 billion for 2018, up 95% year over year. Apple, indeed, was the only company to miss expectations. For all its pro-privacy stances, it sold fewer iPhones than expected and said sales will continue to fall this quarter. Lest you feel too bad, it still made $20 billion in profits and yesterday briefly regained its spot as the world's most valuable company. Combined, Apple, Google, Facebook and Amazon raked in $213 billion in revenue and more than $39 billion in profits last quarter. The big picture: Such rosy results for all 4 companies in the face of controversy have been the case for nearly every quarter over the past 2 years, with the exception of Q2 2018, when Facebook lost roughly $120 billion in market value in one day after barely missing revenue projections. Yes, but: There are clouds on the horizon, both in terms of business and regulation. Facebook is still awaiting FTC results from an ongoing investigation that could eat into its profits. 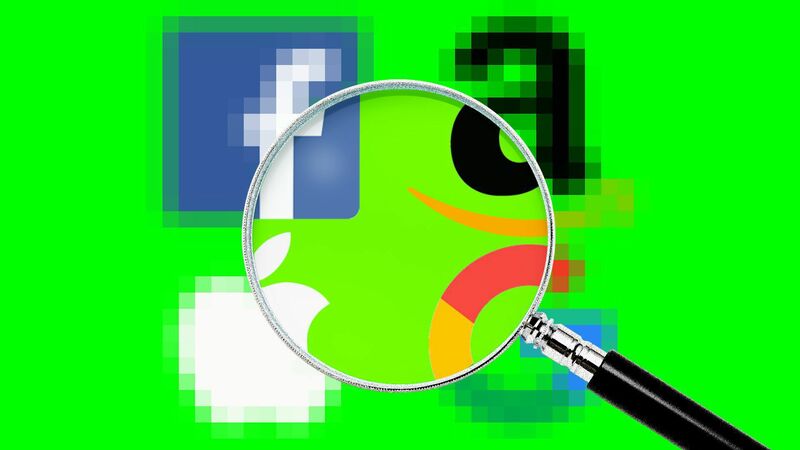 National privacy legislation is being promoted by tech companies to protect against possible compliance headaches if more states pass their own measures. Apple's FaceTime snafu last week showed that it, too, faces privacy issues, despite billing itself as one of the more privacy-minded tech companies. Fears around cybersecurity and election interference continue to dog all companies. Facebook said on its earnings call last week that it could face "headwinds" on its ad-targeting business due to privacy concerns in 2019. Editor's note: This story has been corrected to remove a sentence that originally described a passage in Google's earnings report about a European compliance cost as a new disclosure. The company had previously disclosed the issue. T-Mobile CEO John Legere promised Monday that the company won't raise prices if it's allowed to purchase Sprint, at least not for the next 3 years. To remove any remaining doubt or concerns about New T-Mobile's prices while we are combining our networks over the next three years, T-Mobile today is submitting to the Commission a commitment that I stand behind – a commitment that New T-Mobile will make available the same or better rate plans for our services as those offered today by T-Mobile or Sprint. We believe this merger makes consumers better off, and we're willing to put our money where our mouth is. Period. Meanwhile: The Hill reports that Sprint and T-Mobile have tapped former FCC Commissioner Mignon Clyburn to help advise on the bid. Between the lines: The deal has a variety of detractors and opponents, but it's unclear just how strongly the companies' arguments are resonating with state and federal regulators who have to sign off on the purchase. Several Democratic lawmakers have come out against the deal, though, and have scheduled hearings. Facebook is adding Lead Stories as a new fact-checking partner, the company will announce today, Axios' Sara Fischer writes in an exclusive report. Speaking of Facebook, the social network is once again sending senior executives to Capitol Hill to address questions from concerned policymakers, Axios' David McCabe reports. Driving the news: Ime Archibong, the company's VP of product partnerships, is meeting with House and Senate staffers this week in response to their requests for more information, a Facebook spokesperson confirmed. Archibong today will brief staff members who work for members of the Senate Judiciary and Commerce committees — both of which will play a key role in the debate over a national privacy law. Expect the company's critics to take an interest: Sen. Ed Markey's office confirmed his staff will attend the briefing. Facebook head of cybersecurity policy Nathaniel Gleicher also took meetings in the House and Senate last week about overall efforts to protect its platform from malicious outside interference. Why it matters: Tech leaders used to leave worrying about Washington to their lobbyists, but that doesn't cut it any more. Facebook senior executives keep trooping to Washington because the social network sits at the heart of so many policy debates — and those debates are also central to its future. Google today is debuting a free Chrome extension that lets people see if their username and passwords are among the 4 billion credentials that have been compromised. Why it matters: Many people have had their account information stolen but don't actually know it. Google already does such checks when people log into its G Suite, but this works with most other sites on the web. The hard part was creating a tool that neither forces people to upload their information to Google nor allows a malicious user to gain access to a bunch of compromised accounts, Google tells Axios. How it works: Google, along with researchers at Stanford, created a tool that uses hashes and other techniques to ensure that all a user gets is a notification if the account information they are entering has been compromised. Meanwhile, no account information gets uploaded to Google's servers. Try it for yourself by downloading it here. Today's earnings reports include Snapchat and Electronic Arts. It's also Safer Internet Day. AR and VR pioneer Avi bar-Zeev has left Apple. Bar-Zeev, who helped develop HoloLens at Microsoft, joined Apple in 2016 and departed in January. He's also worked at Google and Linden Lab. Splunk has hired former Box executive Carrie Palin as chief marketing officer. Well, this is one way to sort your iPhone apps.